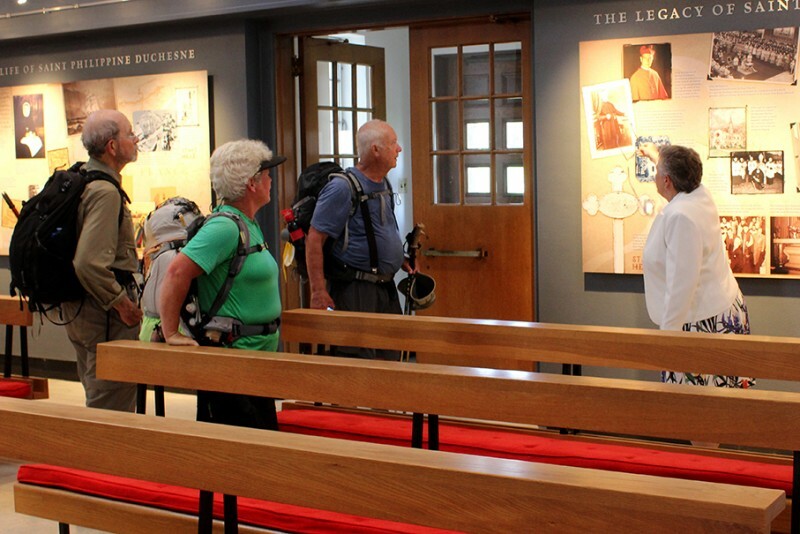 Pilgrims paid tribute to St. Philippine’s pioneer spirit. 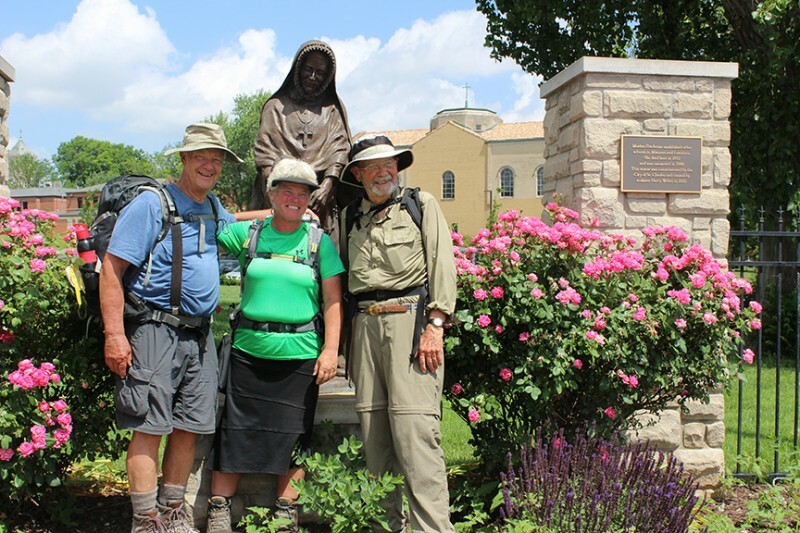 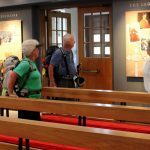 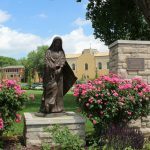 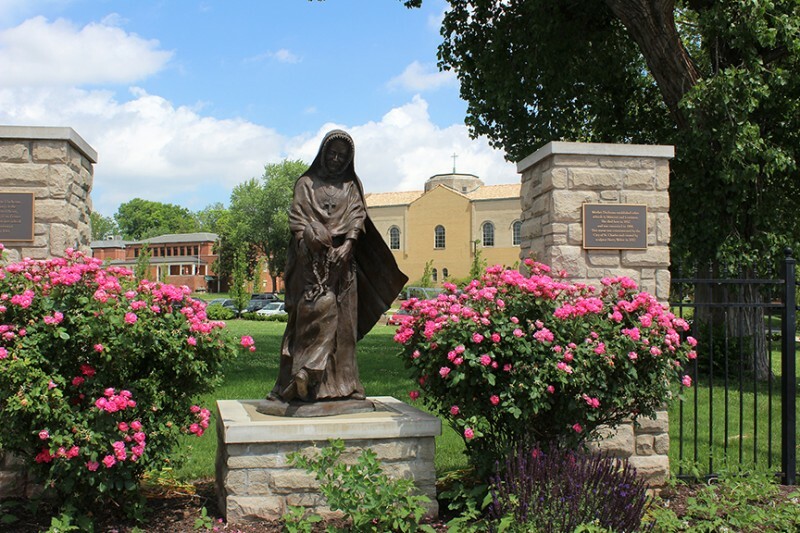 Pilgrims Ann Sieben, Roscoe Hill and Jim Adams paid tribute to St. Philippine’s pioneer spirit by walking from Mound City, Kan., to St. Charles. 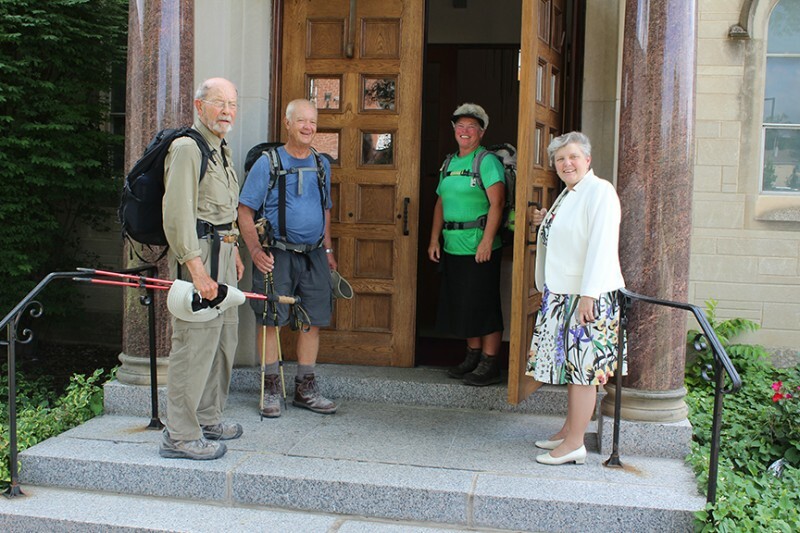 Their 335-mile journey through spring’s fickle warmth and frequent deluges lasted 25 days. 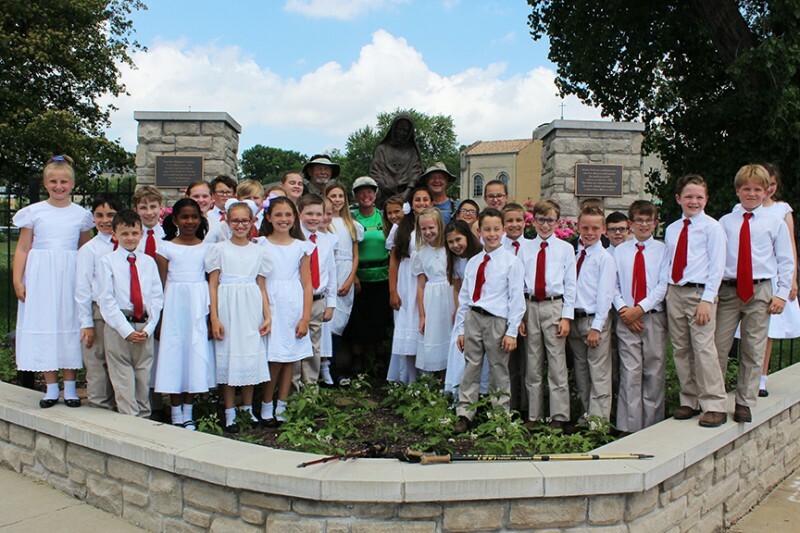 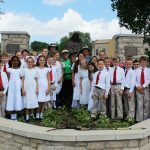 When they arrived May 18 at the bronze statue of Philippine on the corner of Second and Clark Streets, Academy Third Class students were on hand to greet them with a well-deserved cheer!